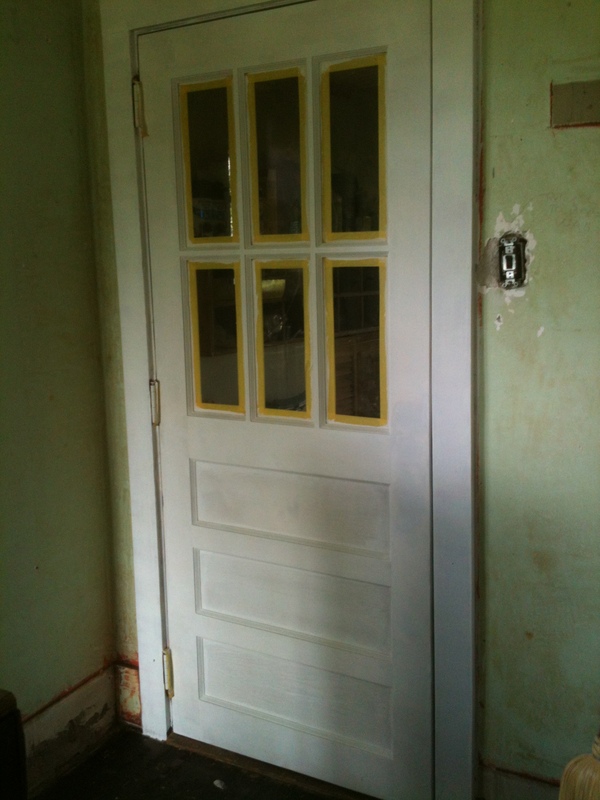 and that we WILL get to the end of this kitchen project. 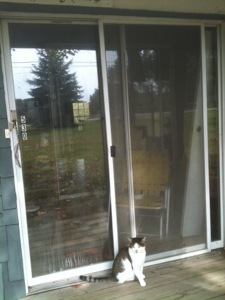 The front entrance Before — one of 5 pairs of sliding glass doors…(We’re down to 3! 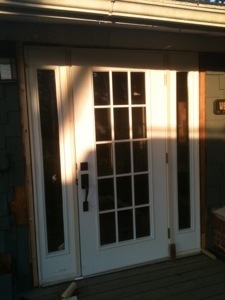 The front entrance After — at the end of the weekend and the sun is setting, but it’s in place! 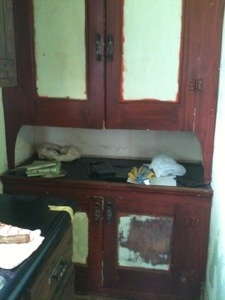 And my favorite, the cupboard After with its beautiful paint, new hardware, and new-old wooden top. 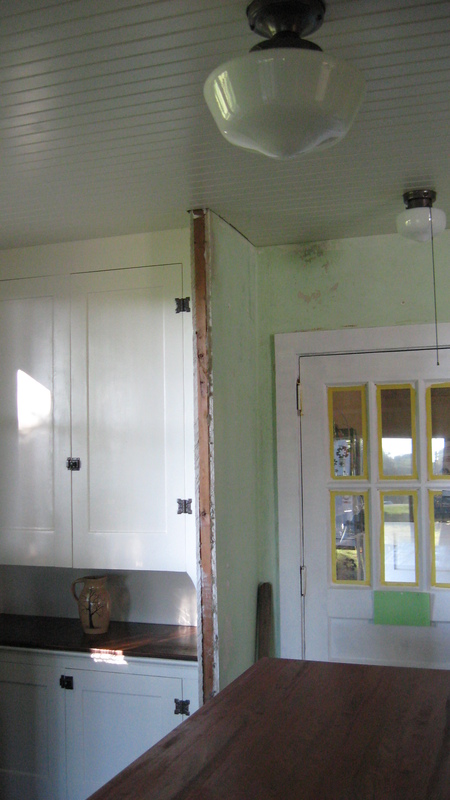 The build in cupboard is gorgeous. Very unique. I sort of like the way it looked before too but perhaps that is my Dutch side talking. Love worn down dark furniture! Fabulous improvements. Everything is coming out beautiful. I adore that hutch. 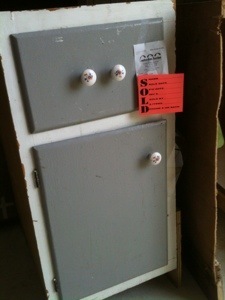 Those sure are some ugly cabinets but the restore job on them looks great. 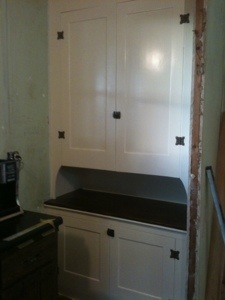 I hadn’t seen the built in cupboard before, beautiful. 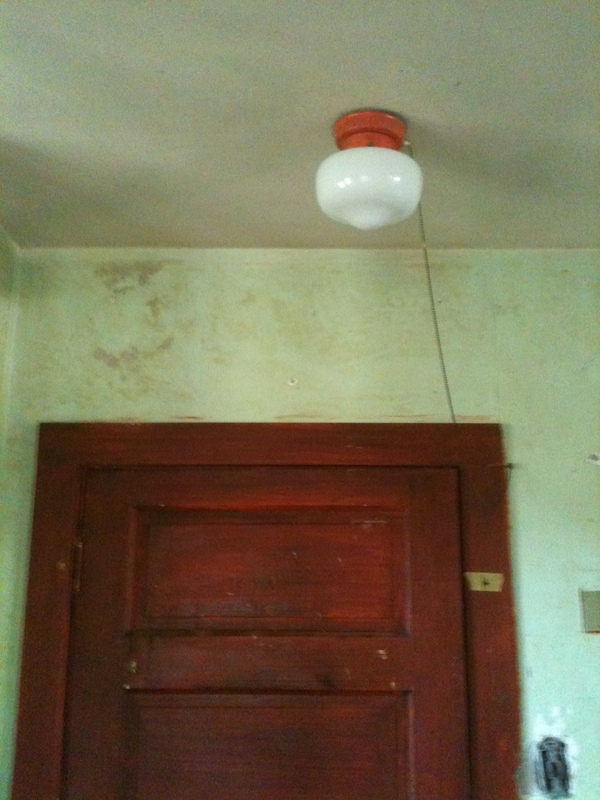 I think my favorite is still the ceiling. Nice to see Mr. H.C. in our neighborhood again. They were so ugly, we almost passed them up.